Can Renegade Doppelganger copy any nonland permanent using Clever Impersonator? 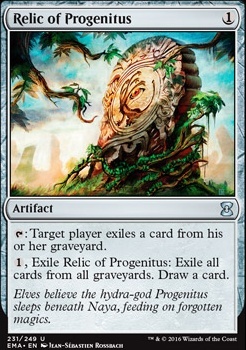 Can I delve off a Relic of Progenitus activation? Does grafdigger's cage stops a Surgical Extraction from being cast on a graveyard? : Target player removes a card in his or her graveyard from the game. , Remove Relic of Progenitus from the game: Remove all graveyards from the game. Draw a card. 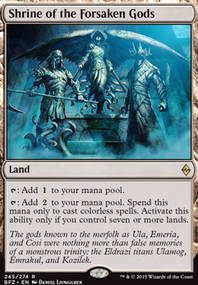 Mono black deckbuilder's toolbox is my big list of cards that I've made work in mono-black in modern. Mono black devotion is pretty diverse in the number of cards that are playable on an LGS level, even if many of those adaptations suffer in longer tournaments. 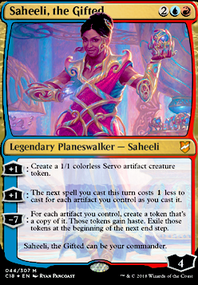 In regards to planning your sideboard, I find it best to see those fifteen cards as extensions to the rest of the deck, and in metas where I see something a lot i just maindeck that and get three-four card slots. 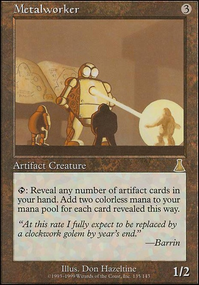 Key cards when picking those fifteen are Ratchet Bomb to answer tokens and enchantments, Whip of Erebos to turn into massive midrange value, Surgical Extraction / Relic of Progenitus / Leyline of the Void because screw graveyard decks, Raven's Crime because screw control, and Collective Brutality which is just a great card. If you are looking at sticking a big enchantment to close out the game Painful Quandary usually does better than the sanguine/blood combo. 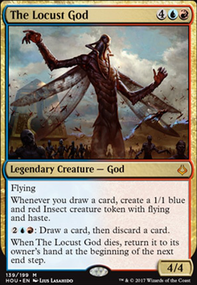 A good budget card for this strategy is Ojutai's Command . 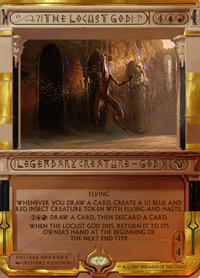 It's pretty flexible and says draw a card and can work as an ALTERNATIVE to Cryptic Command if you want to. I don't know that that's necessary either though. 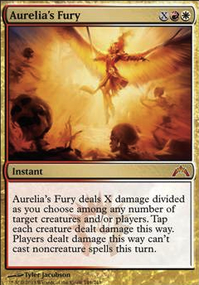 As for some sideboard options, graveyard hate should be a number one priority right now with dredge and Arclight Phoenix being silly. 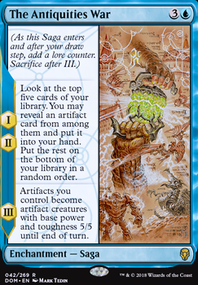 Rest in Peace is probably the best card for your list, however, Relic of Progenitus and Tormod's Crypt would also work (Relic > Tormod's). A great creature for this list in the sideboard is Remorseful Cleric as it can serve as a creature or as graveyard hate, so maybe consider this as well. Some counter magic in the side is also great, namely Negate to beat up on any and all non creature spells as well as Spell Snare to just stop 2-drops ( Snapcaster Mage , Manamorphose and any of storms Rituals or Dorks to name a few). Other great options against storm (and storm type decks, looking at you Phoenix type of decks) can be Thalia, Guardian of Thraben , Render Silent and even Silence to stall out a turn.